So – my microBEnet project has spent a lot of time working on this reference collection that we have currently in Mendeley. Microbiology of the Built Environment | Mendeley Group. In addition to just collecting these 700+ papers we have also added our own tags to the references in regard to the types of environments sampled, the type of analysis done, and so on. But – for many reasons we would like to at least test out this collection in other reference management tools. We are especially interested in those that are “socially aware” like Mendeley. Why do we want to try other tools? Well, for one, Mendeley is not an open / open source tool and we prefer such openness (and Mendeley was bought by Elsevier which generally I am not a fan of). Also – we just don’t really like the tagging system and the (lack of) features in Mendeley. So – we are hoping that something else out there is better / complementary / super duper. I am familiar with many tools out there and from first glance it seems that Zotero is the obvious alternative. Zotero is open source / open / non commercial / nice in many ways. So I exported the Mendeley collection (or at list some of the information about it). And I imported it into Zotero. Seemed to work ok. And I created a Zotero group “the microbiology of the built environment network.”: https://www.zotero.org/groups/microbiology_of_the_built_environment_network. And the papers all seemed to make it there. But alas our custom tags from Mendeley did not seem to make it (other tags that are part of the Mendeley / Pubmed / references did make it — but these are not what we really wanted). And it is unclear just what features are available in Zotero for “socially aware” activities like discussions, etc. What online reference management tools do you like? Which ones allow for group / social / sharing activities? Which ones have good tagging systems? What do people recommend we do? 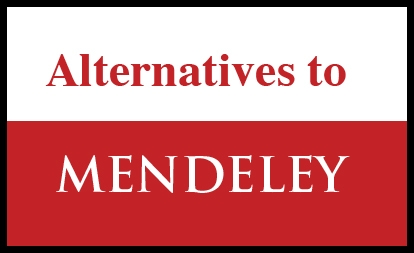 Should we stick with Mendeley? Ditch it? Have you checked out JournalLab? It is also based on community, trust/reputation, and sharing. I have highest respect for the two creators of this interface – one as a post-doc at UCSF. I’m not entirely unbiased here but Zotero is obviously open and has pretty strong tagging features (tag lists, colored tags), though currently no tag clouds or hierarchical tags. As mentioned on twitter, transferring tags from Mendeley should work via bibtex, though not via RIS (not sure why – and I don’t think you can tinker with export formats in Mendeley. One reason open source matters). Zotero’s social features are definitely less developed than Mendeley’s. You can start group discussions on the group’s landing page, but that’s pretty much it. What we really need is the open source version of Mendeley. I think someone (maybe you?) should write a PLoS Comp Bio blog post to invite FL/OSS developers to create an open platform to help scientists. So people can share with developer groups. There are many very young and talented people out there who want to contribute but not necessarily know how. I think it is very doable with the right guidance if we can communicate people why it is important. I agree this seems doable — what about trying to get such developers to contribute to Zotero instead of starting from scratch? That may be the better alternative. But having done a lot of open source software development, I can also argue that in some cases designing/implementing a project from scratch is much easier than trying to improve an existing codebase simply due to poor design decisions that were made long ago and shaped the existing codebase. Of course I don’t know if its the case with Zotero. Maybe the right first step would be to ask Zotero developers to explain what would it take for them to bridge the gap between Zotero and a Mendeley-like social platform. Zotero was designed as a browser web extension. I agree that we nee an open-source mendeley, from scratch. For collaboration etc, the web interface is most important. Zotero has a web API, but it is incomplete. And unfortunately I do not think the web API or server code for Zotero is open source (GPL), but I might have misunderstood that. One way to go might be to create a free web interface and reuse the desktop interface and the very nice feature to easily save references from a web page in Zotero. We have developed an open source solution, downloadable from http://www.scientilla.net or from GitHub, that allows users to collaboratively share and refine their scientific bibliographic metadata. The system relies on a “peer-to-peer” and “open-data” approach as well as on a “clone-and-refine” algorithm. It can import data from external web services. The more the system is used, the more the information that flows on the network become clean. Moreover, using Scientilla, any user can obtain the whole metadata shared through the network. I am an academic who is not in the science arena but who would like to see a solution that is open sourced, open data, that allows for more than just managing PDFs. In my field I am dealing with a large amount of sources and formats, not just scienctific journal papers.